Shelley Rae (McGarry) Sanders, age 63, of Tuscarawas, passed away on Monday, July 23, 2018, following a brief illness. Shelley was born in Dennison, O., on April 3, 1955, the daughter of the late Samuel Levi and Barbara Jean (Gray) Myers. In 1973, Shelley graduated from Indian Valley High School. She enjoyed gardening, canning, baking, birds and scrapbooking. 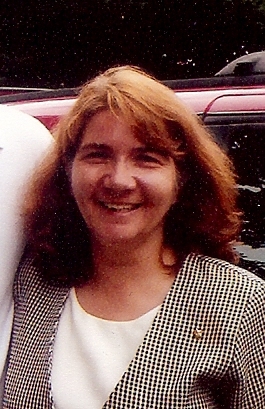 Shelley is survived by her husband Henry Sanders, whom she married August 1, 2016; her children Bobby (Heather) McGarry of Newcomerstown and Wendy McGarry of Gnadenhutten; siblings Brenda (Wayne) Clark of New Philadelphia, Thomas (Susan) Myers of New Philadelphia, Cindy (Rex) Walter of Dover and Jeff Myers of Florida; 3 grandchildren Curtis, Brennan and Lexi McGarry; numerous nieces and nephews and great nieces and nephews. Funeral services for Shelley will be held at 2 p.m., on Friday, July 27, 2018, at the Uhrich-Hostettler English Funeral Home, Inc. at Uhrichsville, with the Pastor Wally Anderson officiating. Burial will follow at St. James Cemetery in Tuscarawas. Calling hours will be held from 12 to 2 p.m., (two hours prior to services) at the funeral home. Memorial contributions may be made to Community Hospice Truman House, 716 Commercial Ave. SW., New Philadelphia, O., 44663.